THE BEST PIZZA IN GLASGOW! It’s official, I love living in the east end of Glasgow! There’s Glasgow’s best burger at Dennistoun Bar-B-Que and Tibo, Redmond’s and Nakodar all on Duke Street and now we have what’s been missing! A top notch pizzeria dishing out authentic Italian pizza to the masses. After living in Dennistoun for a year I’ve loved trying out the local spots and finding some gems I’d probably never have found otherwise. The one thing that’s been missing was a great pizza joint, with the nearest being Paesano and Pizza Punks in town; both of which I’m massive fans of for different reasons. Enter Pizza East! It seems like an age ago the signs went up a couple of doors down from Dennistoun Bar-B-Que promising a new pizza place was coming to Duke Street. At times I questioned if it was ever going to happen but my god am I glad the time finally came when Pizza East opened it doors. 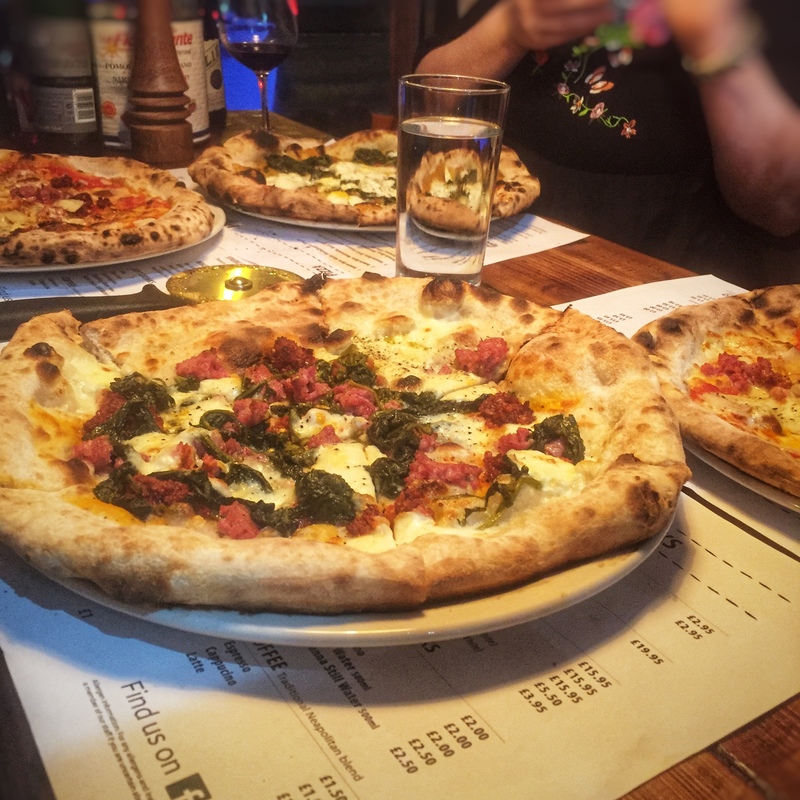 Up until last week if you asked me where does the best pizza in Glasgow I’d have answered Paesano without hesitation. But this isn’t last week; this is now! If you asked me today I’d say Pizza East is serving the best pizza in Glasgow for my money! Now I should say my visit to Pizza East was free having won a competition ran on their social media for a meal for four. If you like what you see and read today then keep your eyes peeled on their Instagram and Facebook as they currently have another competition on and you don’t want to miss out. Their menu is available on the website if you want to see what they offer. I went for the number 6 which I’ll talk about a bit more later of course but be sure to check out the specials as well as there are some pretty delicious ones they’re serving up. Pizzas cost between £6-8 so relatively cheap and considering the quality a steal in my opinion. It’s also BYOB at present with no corkage so grab a bottle of wine and head on down! As the competition was for four I took along the little lady as well as my friend The Scran Man (@scranstagram) and his girlfriend who you should check out for more food recommendations! So let’s talk about the food! Just look at those pizzas! I don’t think I’ve ever been so happy to see a pizza arrive at my table in my life! They looked and tasted great. In the pictures above you’ll see the array of pizzas that came to our table. 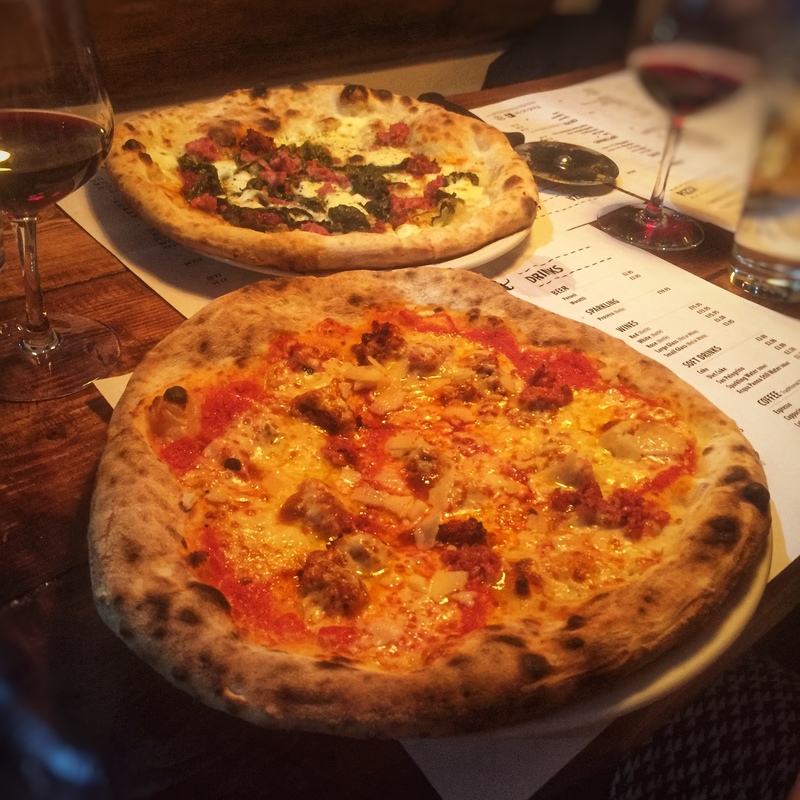 Lot’s of places claim to be authentic but not many can claim to have two chefs from Naples serving up pizzas in Glasgow which is exactly what you get from Pizza East. The ingredients to are all fresh and come from Italy. 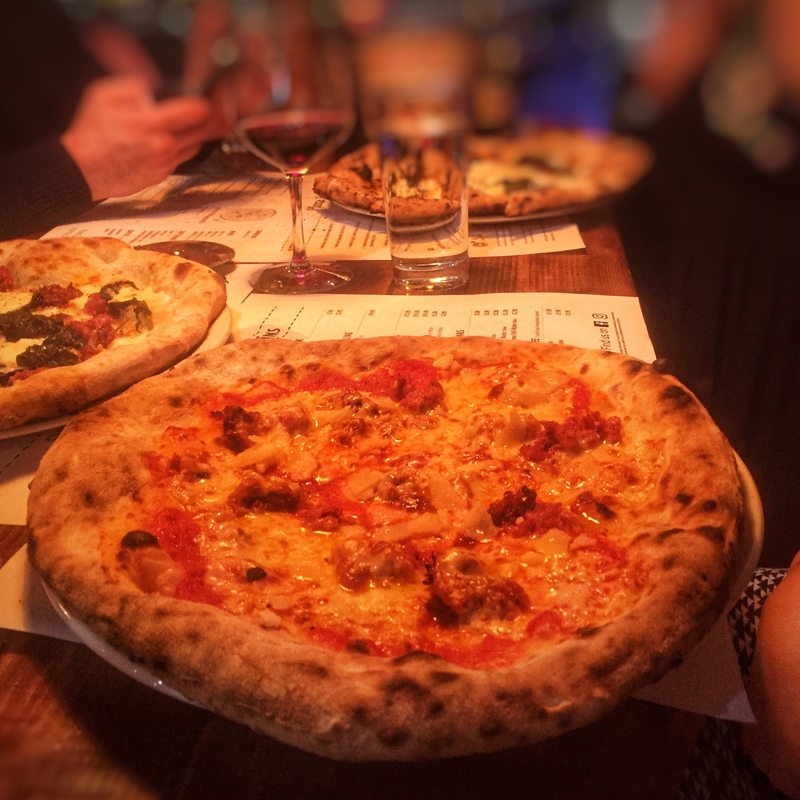 I could go on and on about San Marzano tomatoes and nduja from Calabria but at the end of the day the proof is in the tasting so lets talk pizza. 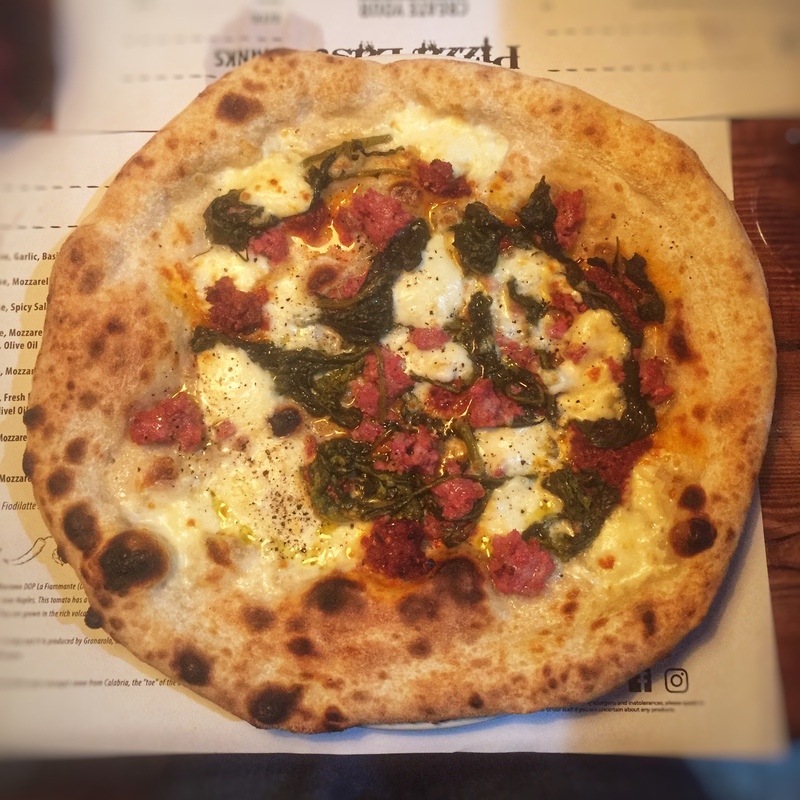 This is the number 6; nduja sauce, fresh fennel sausage, friarielli (Italian broccoli), mozzarella and olive oil. Have I mentioned it’s delicious? Having toyed with the idea of going for one of the specials I’m certainly glad I opted for this one. The base was perfect, firm enough to not fall apart when you pick the pizza up but not burnt or crispy either! There was a bit of char on the crust which I liked as it added a bit of flavour. And those toppings! As someone who loves a bit of spice the nduja sauce was perfect and something I’ve not had before on a pizza. It was complimented perfectly with the fennel sausage, friarielli and mozzarella. All the ingredients tasted so fresh and the whole pizza was packed with flavour! Even the base alone was delicious although I did pour some chilli oil on the side to dip my crust in as I’m a self diagnosed spice addict! Next up for appraisal was one of the specials on that evening; tomato and nduja sauce, fennel sausage, smoked cheese and Parmesan. Now this may sound very similar to the one I had but believe me the subtle differences created a completely different taste and look as you can see from the pictures above. The mix of tomato and nduja sauce worked really well and was more traditional in taste but still had a nice little kick. The mixture and different cheeses on top also worked really well with the smoked cheese really complimenting the fennel sausage and the Parmesan, well Parmesan just makes everything better. If I’m not pouring hot sauce over things I’m probably grating Parmesan over it! Now I didn’t try the other special; pumpkin cream, pork belly, friarielli and smoked cheese but I’m reliably informed it was also delicious! After eating all that food I also had a chance to have a quick chat with Reece who owns and runs Pizza East. It was really great to speak to someone who is really passionate about what he does and making sure that every pizza that comes out the kitchen is up to the high standards they’ve set. 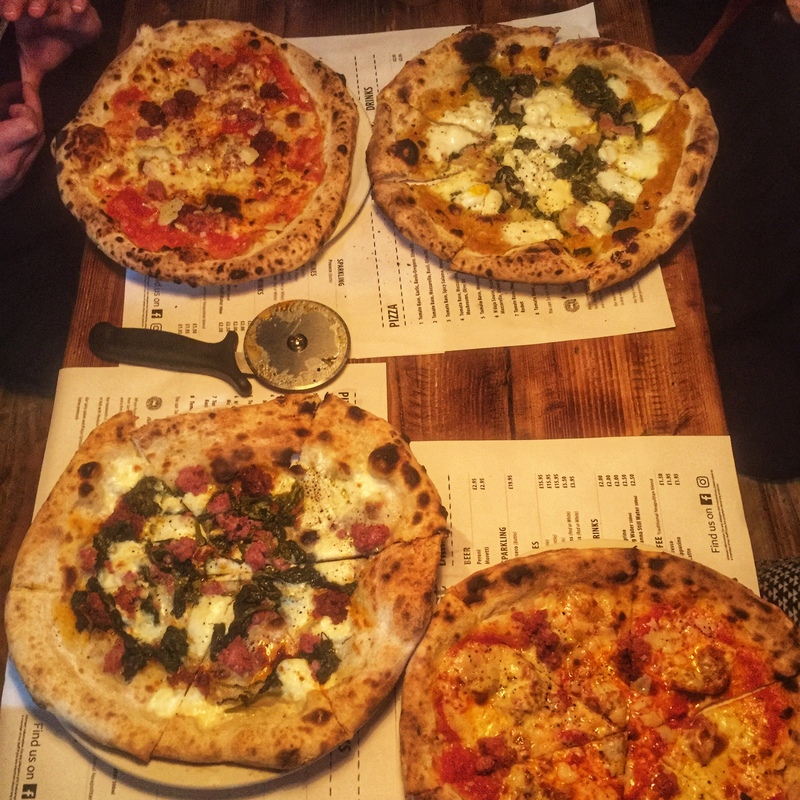 He also mentioned that they’re going to start doing sides to go with the pizzas such as olives as well as some desserts like tiramasu which is only going to enhance a trip to Pizza East as far as I’m concerned. I can’t wait to get back to Pizza East and I can safely say this won’t be my last visit! Everything from the delicious food to the laid back atmosphere made this one of my favourite food places I’ve reviewed since I started this last year! They also do 2-4-1 Mondays on takeaways so if you’re local and fancy trying it out but would prefer the comfort of your own sofa then there’s even an option for that! 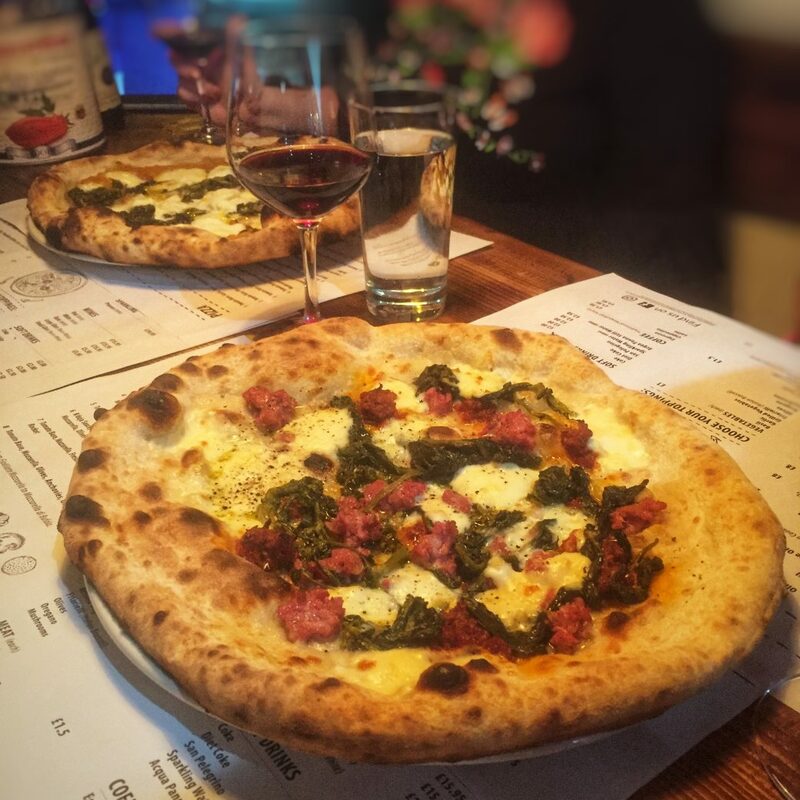 If you’re looking for authentic Italian pizza then look no further than Pizza East!